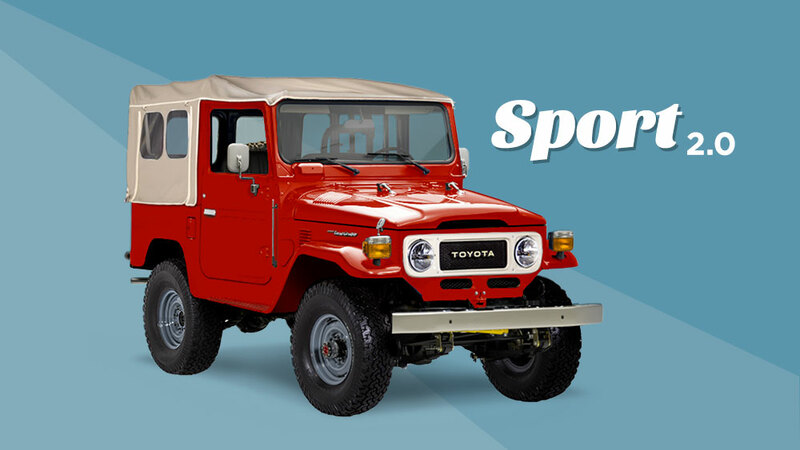 Since its inception in 2016, our Sport build has embodied the best of both worlds – the classic look of an authentic Land Cruiser, and the comfort and ride quality of a more modern machine. So far, the response has been amazing – these 40 series Land Cruisers have been ooohed and ahhhhed by our clients, and enthusiasts alike. In fact, the best thing about launching this build was hearing what you all had to say about it. And now that we’ve done our share of listening, tinkering, and adjusting, we’re pleased to announce that more of what you love is now standard for 2017. Before we get into what’s new, let’s talk about what isn’t – the not-so-standard features that have made this build so popular. The powerful, fuel-injected 1FZ engine, paired with a 5-speed manual. The 31” BF Goodrich All-Terrain Tires. The LED headlights. The Corbeau Sport Seats for driver and passenger. Put that all together and you get a vehicle that is both comfortable and capable – one you’ll want to drive everywhere – simply because you can. The steering system we usually install on our Classic build just wasn’t cutting it on the Sport build. Its larger tires demanded something more. So we beefed up the system, gave it a new name (the Performance Steering System), and installed it closer to the other steering components. 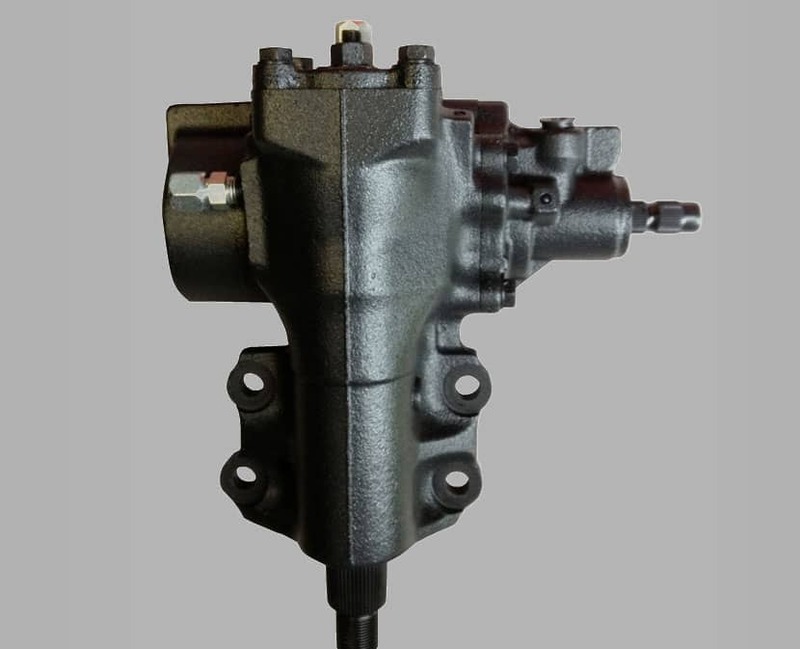 This change gives you improved stability and better connection to the road. 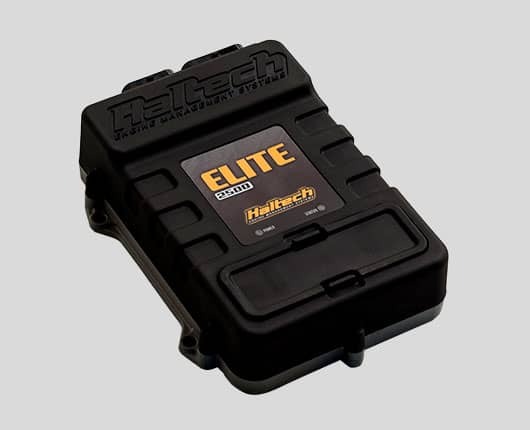 Haltech programmable fuel injection adapts to changes in altitude, traction, temperature, fuel quality and more – delivering optimal performance and fuel economy in a variety of conditions. Plus, our team is working on a custom setup that includes a wider array of programming options – so you can tune your system from the comfort of your laptop (if you’re so inclined). Some digital clusters sacrifice looks for modern technology. Not this one. 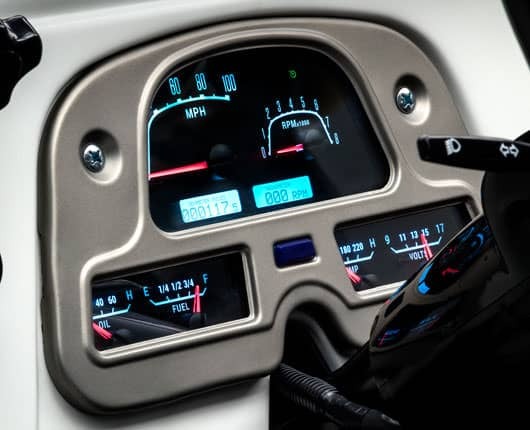 Our digital instrument cluster stays true to the classic shape of the original, and you get all the information you need – at-a-glance – rpms, mphs, trip data and more. 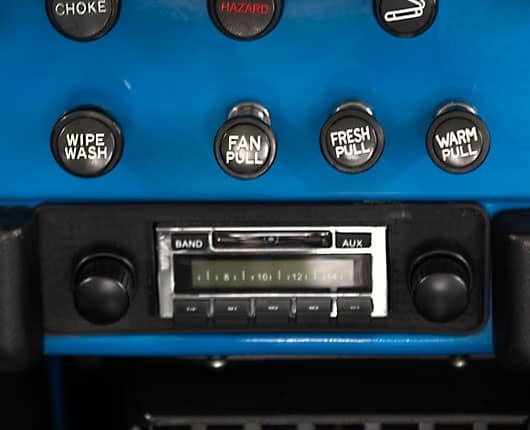 While you can always upgrade to a more powerful Premium Sound System, the now standard RetroSound® receiver with two in-dash speakers flawlessly complements the look of the classic FJ40 interior and has all the modern convenience you need. Just connect your smartphone to play all your favorite songs, or make a call without taking your eyes off the road. 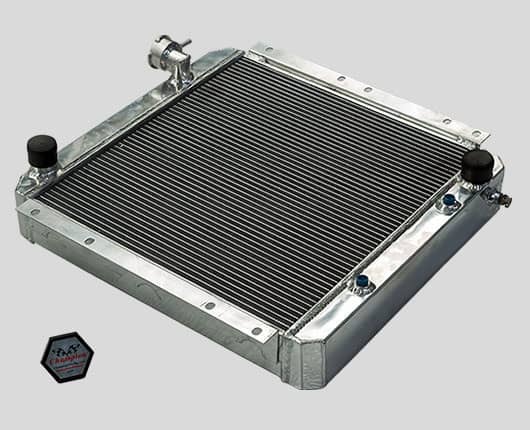 Optional for 2017, for those looking for more hustle and flow, we present our High Performance Package, which includes an aluminum radiator, stainless steel Borla® exhaust, and K&N filters. These standard features keep your engine cool, so it can churn out its very best performance and prolong its adrenaline-fueled life. Interested in learning more? Send us an email or start customizing your own Sport build now! prev postThe FJ Company is coming to Texas!